Your pet is loved very much and is very special to you, no matter if it belongs to the canine family, feline family, avian family or even the reptile family. The loss of a pet can be very painful and sometimes difficult to deal with, especially for children. So, it's very important to ensure that your pet is well looked after and protected at all times - just the way your parents take care of you. When you decide to bring an animal home as your pet, you become its foster parent virtually. It is your responsibility to make sure that your pet is provided with everything it needs to stay safe and healthy. Pets are not 'toys' you can play with and forget about. Their needs have to be looked into. Like humans, they too contract diseases and fall sick. 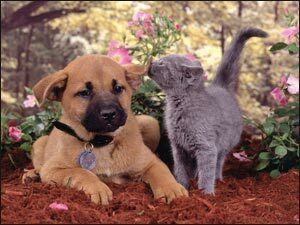 But, if you are observant of your pet's behaviour you may spot the early warning signals of any impending illness. Perhaps, then you might be able to take early precautions and even save your pet from parting from you. 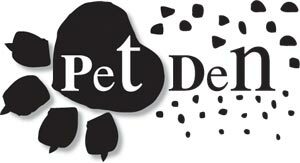 One of the first things you must do when you get a pet is give it the necessary vaccinations. Your feline and canine friends especially must be protected from various airborne diseases they catch not only when they are very small, but also as adults. Once you make sure it gets its annual vaccines, you have less to worry about. But, vaccines alone cannot protect the animal. 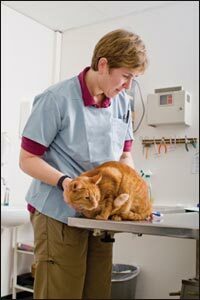 Do not wait too long to take your pets to the vet. It could develop various illnesses either from complications within its own body or from outside germs entering its body. So, keeping your pet clean especially free of fleas and ticks too plays a vital role in its healthcare programme you automatically have to put into gear, the moment it becomes 'your' pet. In general a healthy dog is always active, alert, and attuned to the sounds around it. Its coat gleams and its nose is always moist. Its eyes and nose are free of any discharge, its gums are not pale and it has a healthy appetite. Did you know that both an increase or decrease in appetite could mean it's not feeling very healthy? You must know your pet's routine behaviour well, if you are to notice these early warning signals. * Unusual slobbering or salivation. These signs of course are generally easy to spot if you are someone who's always watchful of your pet's behaviour. However, it may prove a little more difficult to observe any changes in its toilet habits (bowel movements). But, it's important to be watchful in this area too. * Inability to urinate or an uncontrollable urge to do so. * Stools that are dark or contain blood and mucus. And, what should you do if you observe anyone of the above mentioned signs in your pet? 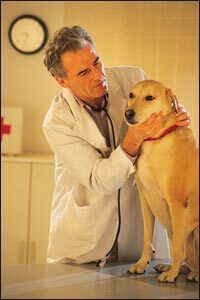 Consult your veterinarian as soon as possible and get medical advice. Your vet will tell you whether or not it's something you need to observe for a little longer before administering any medical treatment or not. Do not wait too long because it just may prove to be 'too' late. However, unless you know your pet well, you'll never know whether it's behaviour is normal or abnormal. That is why it's important to examine and handle your pet regularly and be attuned to its usual behaviour. Checking on some of the easily detectable signs like the wet/dry condition of its nose, colour of gums and tongue, and discharges from eyes and nose on a regular basis would go a long way to help keep your dog healthy. If your pet is important to you, then be alert to its behaviour so that you can always do your best for it. Your pet's good health depends on you.